Free and open year round to wholesale buyers. Copy of tax ID or business license required with wholesale purchase. 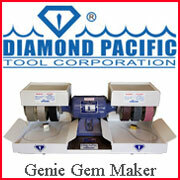 Since 1989, we have been dealers in the September Denver Gem & Mineral Show, under our old name of Desert Gems. In 2006, we moved the show to our own warehouse, where we have a larger inventory and have eliminated soaring show fees. It's been a great success - we stock many items you won't often find at the show. Now, we're joined by our new warehouse neighbor, VICJON, the well-known Peruvian import company. AND....we're open year 'round.